Why limit gift guides to end-of-year holidays? Here at Compass & Key, we're always on the lookout for new and interesting gifts for birthdays, weddings, or any occasion. Our Spring Gift & Gear Guide curates well-designed, thoughtful products that anyone would love to receive, particularly those who enjoy exploring. These products are available at a variety of price points but all are under $200. For the cyclist in your life, there's no greater joy than riding again after a long winter. Spruce up their bike with this stylish leather Pocket Pannier. It's the perfect size to hold the essentials (phone, wallet, keys, etc) and easily connects to a bike rack. Add a monogram ($12) to make it an extra special gift. We've been giving gifts from Walnut Studiolo for years, including this cribbage board belt and 6-pack frame cinch for toting beer around town. Whether you're planning your next vacation or simply taking notes at a meeting, a well-designed notebook makes all the difference. Compass & Key was impressed with the lay-flat design, a business card holder you can place anywhere in the book, and the unlined "doodle pages" in the center, for those times when you'd rather sketch that take notes. This is the epitome of thoughtful design from a company that is an expert in the subject, Moo Print & Design. All of us at Compass & Key love any excuse to enjoy the outdoors, and this gorgeous Danish-designed lamp is ideal for your next picnic or evening on the patio. The internal battery is recharged through a USB cable and the light can be adjusted to the perfect level of cozy. It's not for long-trips (it is glass, after all), but it's a perfect addition for those who love indoor/outdoor living. No time is better than Spring to start easing back into outdoor life. You may have already heard of Tieks flats - they have quite a following - but we can confirm that they are worth the investment and make a lovely gift for that special gal in your life (ahem, Mother's Day is approaching). Our red Tieks have taken us many places, from the winding streets of Istanbul to the historic lodges of Yosemite. Spring is the season when we're eager to escape from our winter boots into a comfy pair of cute ballet flats like these. Send a gift card (or e-gift card) and let the recipient choose from one of the many stunning colors. A good friend and fellow traveler recently introduced us to Allbirds as "the most comfortable shoes [he has] ever owned". But a shoe made out of wool? Turns out, all of the great qualities we prize in merino wool - breathability, moisture wicking, softness - had never been used in footwear before. We were particularly intrigued because these lightweight, flexible shoes are great for vacations when you want to pack light. Send a gift card and you won't have to worry about guessing shoe sizes. Available in men's and women's styles. For the amateur photographer and traveler armed only with their mobile phone camera, these lenses, featured as part of our Camera Travel Essentials, make a great gift. This lens set from Photojojo works with iPhone and Android smartphones and fits easily in your pocket. If you have the iPhone 7, check out this similar set of lenses. Choose from fisheye, super fisheye, telephoto, wide angle, macro and polarizing lenses, or buy the complete set. Help kickoff spring cleaning for those Instagram-obsessed friends by getting their photos onto paper. Recently is an app that allows you to easily use the photos from your phone to create an archival-quality magazine. Avid travelers will particularly appreciate a simple way to preserve their memories. Available in monthly and quarterly subscriptions, each magazine can hold 50 or 100 photos. Compass & Key is fond of gifting a quarterly subscription. As featured in our National Park Packing List, the Houdini jacket from Patagonia is light as a feather and provides excellent wind protection. It packs into its own pocket, making it simple to throw in your carry on as an extra layer. Our Houdini jackets have proven their worth around the city and on the trail. An excellent gift for anyone who wants an extra layer during their Springtime adventures. 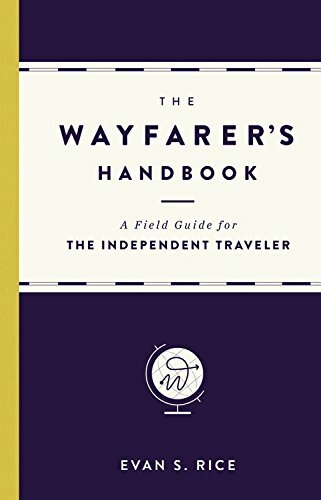 For those of us who like to travel beyond the guidebook, this new title from Evan Rice promises to be a "guide to everywhere". The concept aligns perfectly with that of Compass & Key, encouraging exploration rather than strict itineraries. We love giving books as gifts, and this modern travel guide focusing on the art of travel is sure to be a hit with anyone who is preparing for their next adventure. What could be better than giving AND receiving? When you purchase one of these bright blue beauties for the sports lover in your life, One World Play Project donates a second ball to organizations worldwide who help disadvantaged youth. They are designed to never need a pump and never go flat, so this is an enduring gift both for the recipient and kids who want to play. What gifts are you giving this Spring? Share your ideas in the comments below.